WHAT WE OFFER!! From the office manager to the man-in-the-field, From local moves to long distance moves, large or small, our experienced, friendly, hard working and physically fit staff are dedicated to ensuring high standards and total customer-satisfaction in all aspects of our services. B.S.R. are Removals and furniture delivery specialists who strive continually to exceed customer expectations by delivering the highest levels of performance. With years of experience, caring for your goods, is in our nature. When you move, you will need someone who cares enough to make your move as stress-free and as easy as possible. All your possessions are treated with the utmost respect and care and our team will go above and beyond to make sure you are 100% satisfied. Offering a menu of services we will be sure to fit into anyone’s budget. Please browse through our website and have a look at our many services we have to offer. No matter what size of job required, whether it is a house relocation or a single piece of furniture needing moved. Our goal is always a Happy Customer. stressful experience. From local moves to long distance moves, we are here to make that experience as SIMPLE, STRESS FREE, and AFFORDABLE as possible. SMALL REMOVALS – SINGLE ITEM/PART LOADS: Available to help no matter the removal or delivery size. Specializing in small to medium sized removal work B.S.R. Edinburgh might just be the answer if you have a few select items to move. We undertake any small removals such as: part loads, store collections, as well as single items. Professionally trained crew members of our removals team will collect your select item(s) and deliver them safely, whether its several items needing to be moved to the other end of the country, or one item to the other end of the street. OFFICE RELOCATION: Whether your business is relocating entirely to a new location or simply moving offices within a building, BSR could be the simple and cost effective solution. No matter how large or how distant the relocation, our removals staff is trained to carry out your businesses needs efficiently, at an affordable price, and with minimal disruption. CONTRACT WORK – BUSINESS TO BUSINESS REMOVALS: BSR are furniture delivery specialists and have credible experience in delivering for businesses all around Edinburgh, the Lothians, and Fife. We are known for our reliable and friendly service as well as our very competitive rates. STORAGE: BSR Removals and Deliveries have storage containers available from 25 – to 250 square feet. Please contact us for more details. PACKING SERVICE: Professional packing and unpacking service available at BSR. 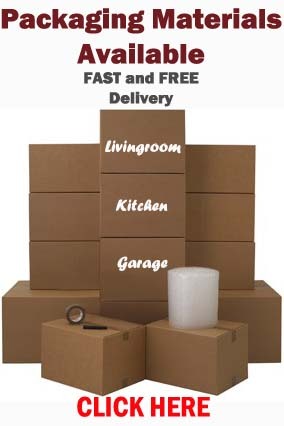 PACKING MATERIALS: House moving packs are available from 1 bedroom packs to 7 bedroom moving packs – please click here to view our moving packs and removals packing materials. STORE COLLECTIONS: For those people who have just bought a new item of furniture and cant wait to get it safely in their house. BSR can collect any item/s of furniture from any store in Edinburgh, Lothians and Fife and deliver straight to your door. STUDENT REMOVALS: We can offer cost effective services with a van and driver where you will then be able to travel in the van and help load and unload to keep your removal cost down. We have a physically fit team to help with all the boxes of heavy books you might have and any amount of stairs we may have to climb. 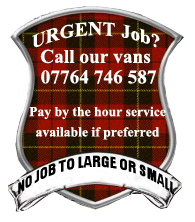 MAN AND VAN SERVICE: This is still a very popular service as it provides customers with an easy, cost effective way of transporting their items. We understand that sometimes customers don’t require a full house or office move, so we offer an our affordable man and van service for all of those smaller removal needs. FURNITURE DELIVERY / FURNITURE COURIER: Being Furniture Delivery Specialists we collect from any retailers premises of choice and deliver straight to your location and then to the the room of customers choice. HOUSE CLEARANCE: We know that many of you have to clear a house at a difficult and stressful time. We will make it as hassle-free and as easy for you as possible. House clearances can be very difficult to carry out for several reasons not just physical but emotional. If you are looking for your house clearance to be done quickly, professionally, efficiently, and cost effectively then our removals service is your simple solution. 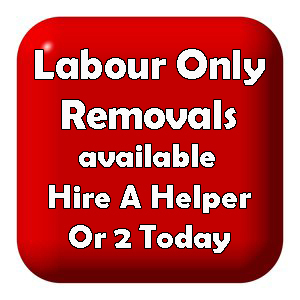 LABOUR ONLY: At BSR we understand that all removal work may not always need the use of our moving vans. If this is the case we offer labour only removals where you can hire 1, 2 or even 3 men, who will travel to your property of choice and help move whatever is required.